Amy Walker is a mother, teacher, conductor, and lover of all things music. 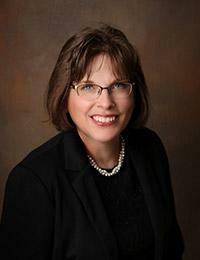 She was born and raised in Quincy, Illinois, and is currently living in Payson, Illinois, with her husband, Craig, and her two daughters, Rebecca and Leah. Teaching in any form has been her passion throughout her life. Since 2005 she has been an Applied Voice teacher at John Wood Community College in which she gives one on one vocal instruction to her students. Since 2012 she has been the choir director at St. James Lutheran Church in Quincy, Illinois, where she prepares and performs weekly choir anthems for church services. Before that Mrs. Walker has kept busy in many other teaching capacities. She has taught general music at local schools as well as teaching vocal lessons in her own private voice studio. She has held another church choir director position and was an Adjunct professor at Quincy University teaching Applied Voice. Mrs. Walker earned a Bachelor of Music degree in Music Education from Millikin University in 1989. In college she was the winner of the Concerto/Aria competition at Millikin University and performed two arias with the Decatur Symphony Orchestra. Since then Mrs. Walker has stayed busy performing. She was on the Muddy River Opera Board in Quincy, Illinois, for many years and has also performed in many of their productions. She and three of her family members formed a quartet in 2005 called the Fairchild Family Singers. They perform around the area at various venues. She also displays her singing talents at faculty recitals at John Wood Community College. Amy has played summer softball most of her life. She currently plays in the Church Softball league and loves watching the Cardinals (Go Cards!) and she coached both of her daughters’ in summer softball leagues. Amy’s most important role in life is serving God as a wife, mother, and musician. She loves children and is thrilled to have the opportunity to guide and teach the children of this community as the director of Kinderchor.